We would like to thank Kevin and Jack for purchasing a four place canoe trailer. 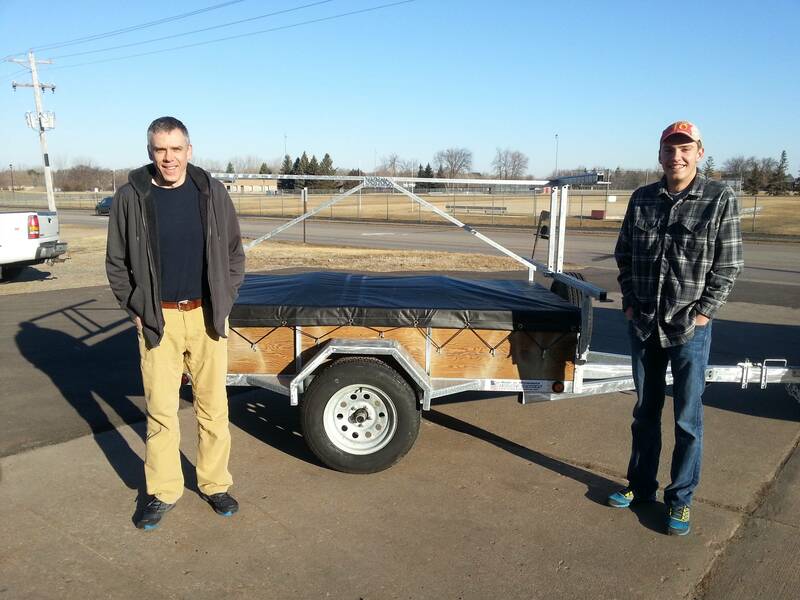 Kevin and Jack drove 15 hours one way from Columbus, Ohio to pick up their 4 place canoe trailer. Kevin and Jack choose to upgrade to the 3500 lb axle with 15″ tires on galvanized rims, LED light upgrade and we made some custom canoe racks to fit their specific kayak needs. All our canoe trailers and kayak trailers are made of hot dipped galvanized steel to last you a lifetime. With its easily removable canoe racks you can use the canoe trailer as a utility trailer when you need too. All you have to do is unbolt 4 bolt and pull out 4 pins. Its so simple and easy! Call us today about our 2 in 1 trailer. A canoe trailer and utility trailer when you need it.